Oliver Heldens is possibly one of the electronic scene’s brightest stars and it was recently announced that he will return to London on Saturday 10 December for a show at Electric Brixton. From the age of 17 Oliver’s career path was set, when his track ‘Gecko’, which he produced in his bedroom studio, caught the attention of one of Tiësto, who signed it to his own label Musical Freedom. What has followed since has been a string of releases, remixes and #1 chart positions, which has catapulted him into the DJ Mag Top 100, becoming the highest ranking house DJ on the list and probably positioning him as one of the world’s most in demand DJ/producers as he showcases his sound to more and more people. 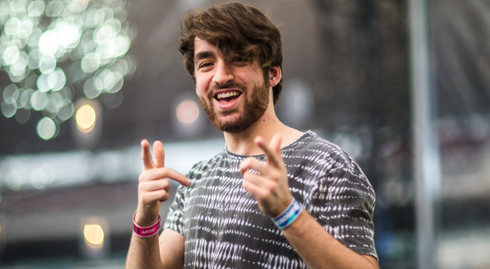 Now just a few years after his first record deal, Heldens has launched his own label Heldeep Records and globally syndicated Radio Show, has a UK sell out tour already under his belt and apparently features on every major festival line up this year including Creamfields. Tickets for the event go on sales today. I really like reading through an article that will make men and women think. Also, thanks for permitting me to comment!